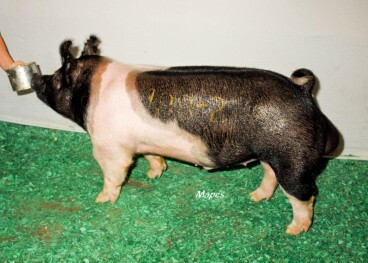 All litters are AI litters bred to current show winning boars from National Swine Registry certified shows. 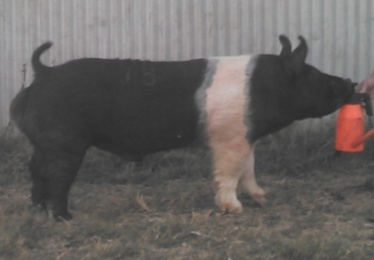 ﻿Hillbilly Bone, Cross Boar, owned by Fey Show Pigs with Real Hog Farms. Housed at Real Hog Farms. 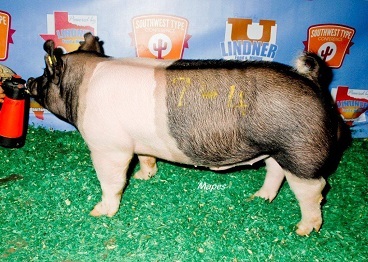 ﻿Papa Grande, Cross Boar, owned by Fey Show Pigs with Real Hog Farms. Housed at Real Hog Farms. 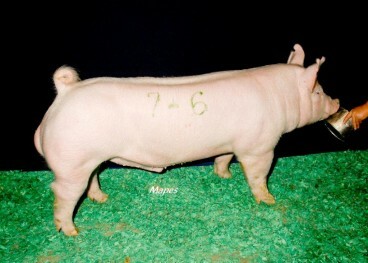 Prestige, Yorkshire Boar, owned by Fey Show Pigs with Real Hog Farms. Housed at Real Hog Farms. Blackbone, Hampshire Boar, owned by Fey Show Pigs with Real Hog Farms. Housed at Real Hog Farms.